1 Gail Kim 1 October 14, 2007 85 Duluth, Georgia Bound for Glory Kim defeated Roxxi Laveaux in the finals of a ten knockout gauntlet match to become the first champion. 3 Taylor Wilde 1 June 24, 2008 121 Orlando, Florida TNA Impact! This episode aired on tape delay on July 10, 2008. 4 Awesome Kong 2 October 23, 2008 178 Las Vegas, Nevada TNA Impact! 6 Tara 1 June 25, 2009 24 Orlando, Florida TNA Impact! This episode aired on tape delay on July 9, 2009. 8 ODB 1 August 16, 2009 11 Orlando, Florida Hard Justice This was a tag team match with ODB partnering with Cody Deaner against Love and Velvet Sky. Deaner pinned Sky to win the championship for ODB. — Vacated — August 27, 2009 — Orlando, Florida TNA Impact! TNA authority figure Mick Foley vacated the title as Deaner felt he was the rightful champion because he was the one who scored the pin at Hard Justice. 11 ODB 3 January 4, 2010 13 Orlando, Florida TNA Impact! 12 Tara 3 January 17, 2010 78 Orlando, Florida Genesis This was a two out of three falls match. 13 Angelina Love 3 April 5, 2010 13 Orlando, Florida TNA Impact! Love was one of the four winners in a Lockbox eight Knockout elimination tag team match and won a key to a box containing the Knockout Championship. 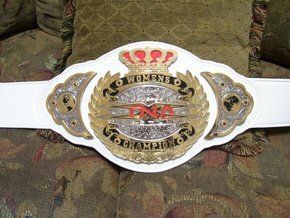 that was also for the TNA Knockout Tag Team Championship, where Rayne teamed with Velvet Sky and Love with Tara. Rayne won the title by pinning Tara. she threatened to sue TNA due to the controversial finish to the match at Victory Road. Aired on tape delay on July 22, 2010. Mickie James serving as the special guest referee, also involving Madison Rayne and Velvet Sky. Tara pinned Sky to win the title. 20 Mickie James 1 April 17, 2011 112 Cincinnati, Ohio Lockdown 2011 This was a Title vs. Hair steel cage match. 24 Velvet Sky 1 October 16, 2011 28 Philadelphia, Pennsylvania Bound for Glory (2011) This was a Four–Way match, with Karen Jarrett serving as the special guest referee, also involving Madison Rayne and Mickie James. Sky pinned Rayne to win the championship. 30 Velvet Sky 2 January 26, 2013 117 London, England Impact Wrestling This was a fatal four–way elimination match, also involving Miss Tessmacher and Gail Kim. Sky pinned Kim to win the championship. This episode aired on tape delay on February 21, 2013. 32 ODB 4 September 12, 2013 38 St. Louis, MO Impact Wrestling Aired on tape delay on September 19, 2013. 33 Gail Kim 3 October 20, 2013 88 San Diego, CA Bound for Glory (2013) This was contested in a three–way match match, also involving Brooke. Kim pinned Brooke to win the championship. 36 Gail Kim 4 June 20, 2014 20+ Bethlehem, PA Impact Wrestling	Aired on tape delay on July 3, 2014.